"Control Depression With Omega 3 Fish Oil !" Or Depression can elevate chronic inflammation in your body. Inflammation is essential for us to fight bacterial and viral infections, but, Chronic Inflammation will cause many diseases, including major mood disorder. 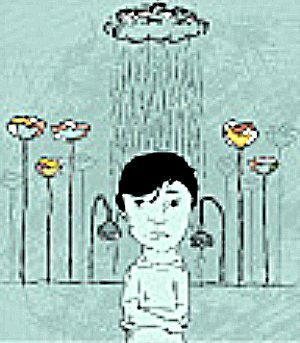 Individuals living with depression have an exaggerated inflammatory response to psychological stress compared to those who do not suffer from the disease, according to a study by researchers at Emory University School of Medicine. Another study has come out about inflammation and neuro biological brain disorders. This one, from the Netherlands, shows that inflammation of both body and brain precedes the psychiatric symptoms of bipolar disorder. Recent Findings: The current literature lends further support to the view that a major mood disorder is associated with a pro inflammatory response, as indexed by elevation in C-reactive protein and cytokines such as interleukin 6 and tumor necrosis factor. Antidepressants suppress the inflammatory response, whereas electro convulsive therapy acutely increases pro inflammatory cytokine levels. Most, though not all studies support a link between a major mood disorder, inflammation and cardiovascular events. Pre menopausal women with even a mild depressive disorder have less bone mass than do their non depressed peers, a study funded in part by the National Institute of Mental Health (NIMH), shows. The level of bone loss is at least as high as that associated with recognized risk factors for osteoporosis , including smoking, low calcium intake, and lack of physical activity. Blood and urine samples also showed that these women have imbalances in immune system substances, including those that produce inflammation, compared to their healthy peers. This additional finding strengthens the case for a suspected link between depression induced imbalances in the immune system and accelerated bone loss. What Can You Do To Stop The Chronic Inflammation And Fight The Saddness? Learn How To Relieve Stress! Click On Living Free and Clear Below! Researchers report that living with depression is known to increase inflammation, while a number of studies have found omega 3 fish oil prevents it. Low levels of omega 3 fatty acids have been linked to a major mood disorder for some time now. Staying away from sugar and highly processed carbohydrates, which the body rapidly converts to sugar, is a good way to decrease chronic inflammation. One of the reasons inflammation occurs is from a rapid rise in blood sugar, which causes biochemical changes in the cell. You also want to avoid excess consumption of omega 6 vegetable oils like canola, corn, and sunflower oil which are found in most processed foods. Several Studies Have Proven That Omega 3 Fatty Acids Found In Fish Oil May Make Significant Improvements On The Mental Health Of People. The active ingredients are needed for the brain to function properly and have good overall health by reducing chronic inflammation. A recent study indicates that people with severe major depressive disorders had less omega 3 in a region of the brain associated with the mood disorder. For most people, high carbohydrate, low protein diets are causes of inflammation. We’ve Seen Repeatedly That Low Carb Diets Reduce Chronic Inflammation For Most People. Inflammation research suggests that Omega 3 Fish Oil Supplements may decrease suicidal behavior and improve symptoms of postpartum depression and childhood depressive disorders.